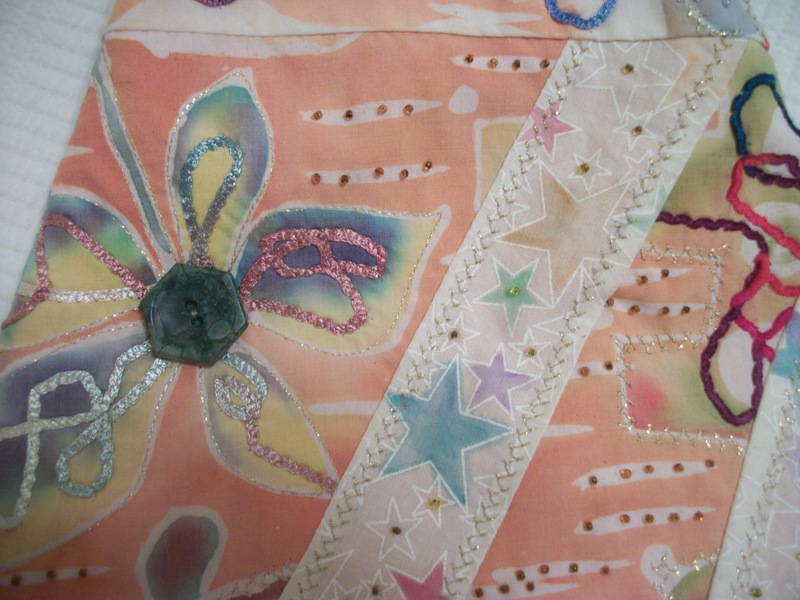 Some years ago, I bought one of Rebecca Hokkanen’s purses at one of our quilting auctions. And I have truly enjoyed using it, yes, but just looking at the art work in it too. 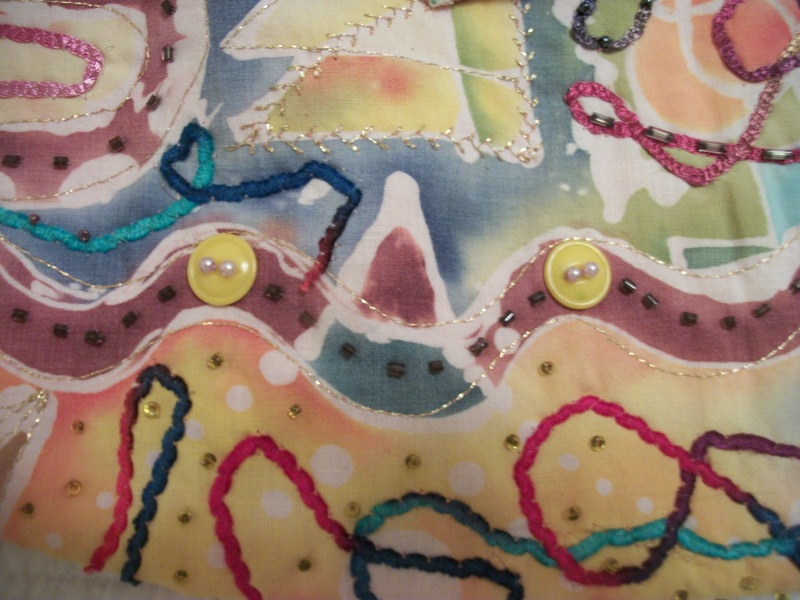 Essentially, Rebecca has “made” fabric with this little purse–by layering different fabrics and embellishing it all. 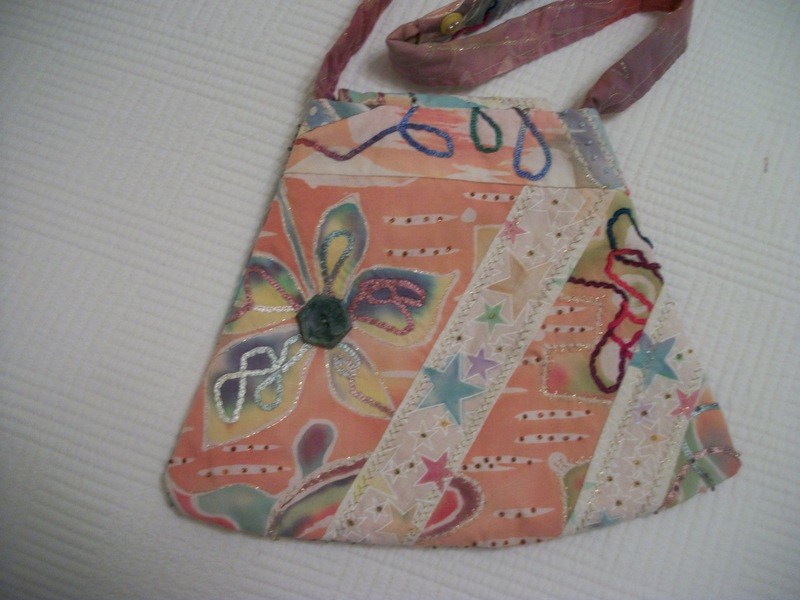 There is so much creativity in this little purse. It’s a joy to see. Dear Louisa, thank you for your kind words about the purse, but are you really sure I made it? I don’t remember it and I would hate to be getting credit for something that someone else created Now, it is entirely possible that I did make it and have just forgotten. That is happening more and more often these days. Isn’t it lovely to be outside in all this vivid green!!! Nope, my talented friend. 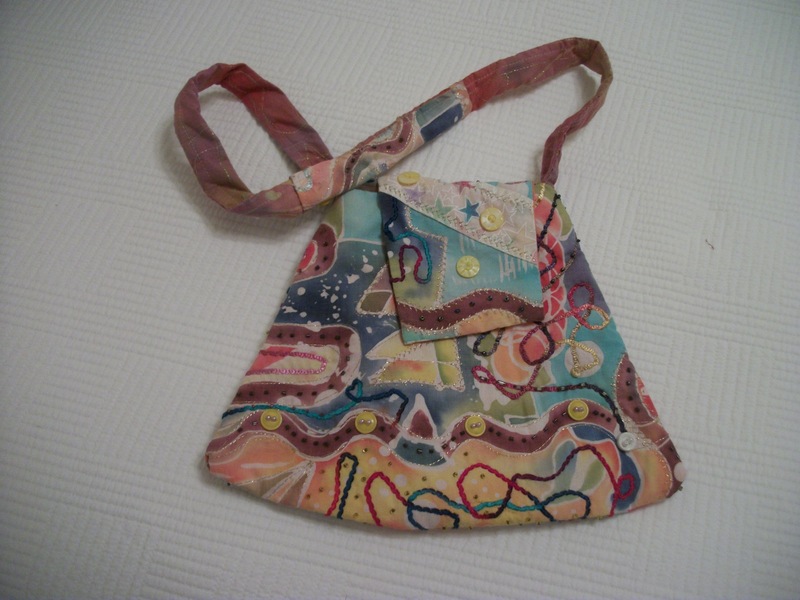 You made the purse–about six or so years ago. I’ve always loved it.